Our team is proud to provide both repairs and installations for residential homeowners and commercial property owners in Boerne, TX. 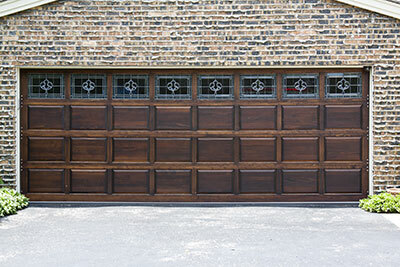 We also offer opener replacements and we use only the latest and most advanced garage doors and openers. Our trained technicians have years of specialized expertise to provide quality service at the absolute best competitive prices in the industry. Family-owned and operated, our number priority is to deliver 100 percent satisfaction to our customers. We are dedicated to keep our customers safe, along with their overhead door equipment. Our company is pleased to say that we are a drug free workplace and are ready to provide you with the service you deserve. Our staff has received extensive training, and you can rest assured that you are receiving expert advice and superior service. 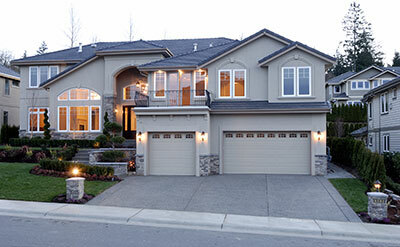 Many homeowners often forget or don’t realized that their garage door is actually one of the largest pieces of machinery in or around their home. With that in mind, it’s no surprise that it has such a great impact on the appearance and function of your property. If you find that your door won’t open or close, we can help. Are you building a new house? Is your current overhead door faded in color or is the paint beginning to chip? 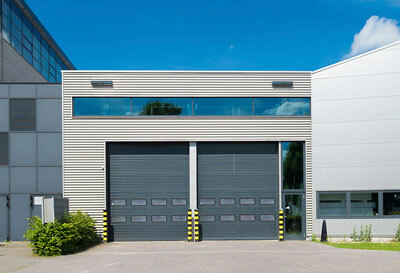 Is your business in desperate need of a new garage door? 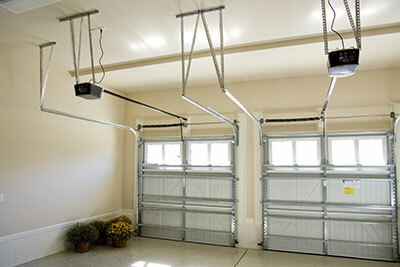 Or do you have a garage door that works slowly and barely continues to function throughout day-to-day use? Regardless of your circumstances, our team is here to help you choice a new garage door that meets all your individual requirements. While safety should always be your number one concern, we understand that homeowners would like their new door to match the style and personality of their home. Luckily, when you contact our staff, you will be blown away by the amount of options we have for you to choose form. From different materials, such as wood, steel, fiberglass, or aluminum, to different color choices, you’ll have a lot of decisions to make before you narrow down the door that’s right for you. Likewise, different doors provide different functions and accessories, so if you are more concerned about usage then appearance, we have options for you as well. By sitting down for a consultation with our staff, we’ll be able to hear from you what exactly you’re looking for from your next garage door. Whether you value appearance over safety, or security over looks, the final decision is completely up to you. As you weigh your options, we’ll be here to provide as little or as much advice and suggestions as we can. You can be sure that we will provide you with high quality services at an affordable cost. After years in the industry, we’ve learned that it’s important to always remain fully stocked on a variety of parts, including springs and tracks. We use parts of the best manufacturers in the industry, so you’ll have multiple options to choice from at different price points. Not just that, but when we provide you with an estimate, we try to be as transparent as possible and always include material and labor costs upfront. 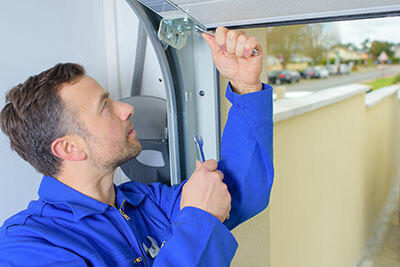 Why choose Boerne Garage Door Repair? So, what makes us the best in the area? For starters, we ensure that our customers receive ongoing service. This means that our customers can call us any time for assistance—both night and day, because let’s face it, you never know when your garage is going to decide that it doesn’t want to open or close, or even move at all. We know it is important that we recognize customers’ needs and act with urgency. We understand that garage doors are made up of many moving parts, so it’s even more important that we are stocked up on all those parts and have them available on our trucks whenever we are out on the road. Because these are heavy-duty pieces of equipment, the average door tends to weigh around 400 pounds. Therefore, it is extremely important to hire experienced professionals to perform all of the work. After years of experience, we have learned that the customer should always come first. We know that too many of our competitors look to up-sell and make an extra buck anywhere they can—but you won’t have to deal with this when you work with us. Instead, we like to place your needs over our own, because we believe developing long-term relationships is a key factor to our continued success. Before you decide what garage door contractor you want to work with, we strongly urge that you seek multiple to receive multiple estimates for service. Of course, we hope you end up going with us once the final decision is made, but we’re confident is the services we offer and the competitive pricing we provide. You won’t find another team in the area that is more transparent about their work and the costs of labor and materials. When you opt to work with our staff, we guarantee that you won’t be disappointed in the service you receive or the end result once work is completed. Whether you're building a new house or you're simply looking for a replacement, our formula for success is simple: deliver unmatched customer service with the most reliable parts available, at a competitive price that no one can match. We won’t try to give you a run around like other companies, it’s our company wide standard to be upfront and honest. We’ll respect your home and respect your business like it’s our own, and we will work to win over your trust and admiration in the process. At the end of the day, we want to develop lasting relationships that encourage recommendations and repeat-clients. Working side by side with both homeowners and business owners, we understand the different needs compared between the two. Our staff has experience creating custom solutions that meet and exceed the needs of all of our customers, whether they are searching for help for residential or commercial doors. 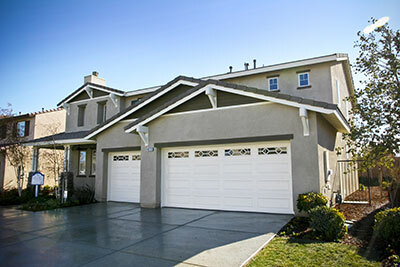 Are ready to make the switch to the industry leader in garage doors? We do the work in one visit, and you won’t have to worry about us coming unprepared without the necessary tools and equipment needed to complete the job. Proudly serving the Boerne area, including surrounding areas, it’s our goal to become the community’s go-to service provider for all their repair needs. We know that your overhead door is a key component to your day-to-day life, whether that does is located in your home or at your business. When it stops working, it can throw a huge wrench into your plans. Before losing hope, just reach out to our team and we will take the lead in resolving the situation. Our staff doesn’t just want to tell you that we provide the best service in the area, we want to prove it to you. Before starting service, we always sit down with each and every client to ensure that everyone is on the same page about what is expected from our work. If there’s any chance we can go above and beyond your expectations, we will without hesitation. 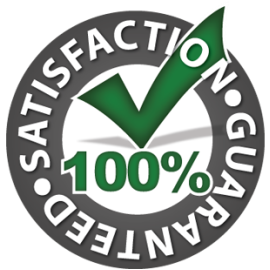 No job is complete until we can guarantee a customer’s complete satisfaction. So, when you’re in need of expert, affordable and fast service, you are right to choose us. You’ll find that all of our team members are knowledgeable, friendly and certified with years of combined experience in the industry. As mentioned, the satisfaction and safety of our customers are our number one priority, and that is why we have an abundance of happy customers in our area. We have you covered in Boerne, so don’t be afraid to give us a call today and enjoy a hassle free door. We’d be happy to provide you with a complimentary estimate for service.